Today we review Tush M.D. Hemorrhoids can become a problem at any stage of life. Some people first experience them after pregnancy or after bouts of constipation and diarrhea. Not only can they be very uncomfortable, but they can also bring down your quality of life. Tush M.D. 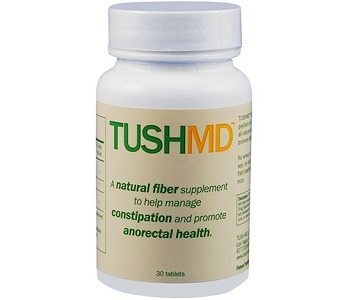 is a natural fiber supplement that claims to help fight constipation and promote anorectal health. This remedy was developed by a board-certified colon and rectal surgeon, and it helps to control flare-ups without having to consort to invasive procedures. If this product interests you, read the rest of our review below. This supplement uses a proprietary blend of ingredients, the main ones being Bromelain, Psyllium and Witch Hazel. Bromelain is derived from pineapple and is known for aiding digestion and also has anti-inflammatory properties. Bromelain also helps to reduce the formation of blood clots. Psyllium is a natural dietary fiber that offers relief from constipation and Witch-hazel helps to shrink enlarged blood vessels back to normal size. 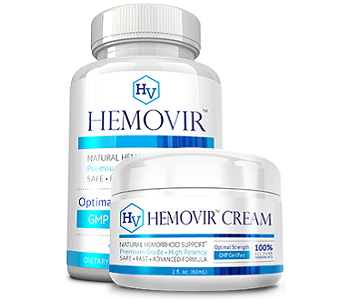 Although we could not find any information regarding other ingredients in this product, these 3 ingredients will definitely be able to provide some relief when it comes to hemorrhoids. It is recommended that you take 1 to 3 tablets daily with water. Do not take this supplement if you are allergic to pineapple or if you are allergic to honeybee stings. Do also not take this supplement if you are using blood thinners or taking anticoagulants. If you notice any blood in your stool please consult your doctor. If you are pregnant, nursing or taking prescription medication it is also advised to first speak to your doctor before taking this supplement. This product may cause nausea, vomiting, diarrhea, menorrhagia and allergic reactions. You can buy this product on Amazon for $26 per bottle. Each bottle contains 30 tablets and can also be bought in a 2-pack. The manufacturer provides a 45-day guarantee policy. You can return opened and used products but you will be responsible for the return shipping and handling fees. Customer reviews regarding this products are both positive and negative. Around 64% of the people that used this product were very satisfied, however, the rest were left unimpressed. Some of the customers on Amazon stated that this product didn’t relieve them of pain or irritation in any way and that this product also didn’t really target the underlying cause of their hemorrhoids. Our Conclusive Review About Tush M.D. We like that this product has active ingredients that were specially chosen to combat constipation and relieve people of the distressing symptoms of hemorrhoids. We also like that this product works internally to combat the causing elements of certain hemorrhoids and that it has a 45-day guarantee in case you are unsatisfied. However, we find the price of this product expensive when compared to similar products on the market. We also feel a bit alarmed when it comes to some of the negative reviews that this product has received on Amazon. This product also seems to have more negative side effects compared to a hemorrhoid cream.